The Pegasus Program is for special needs children and adults. 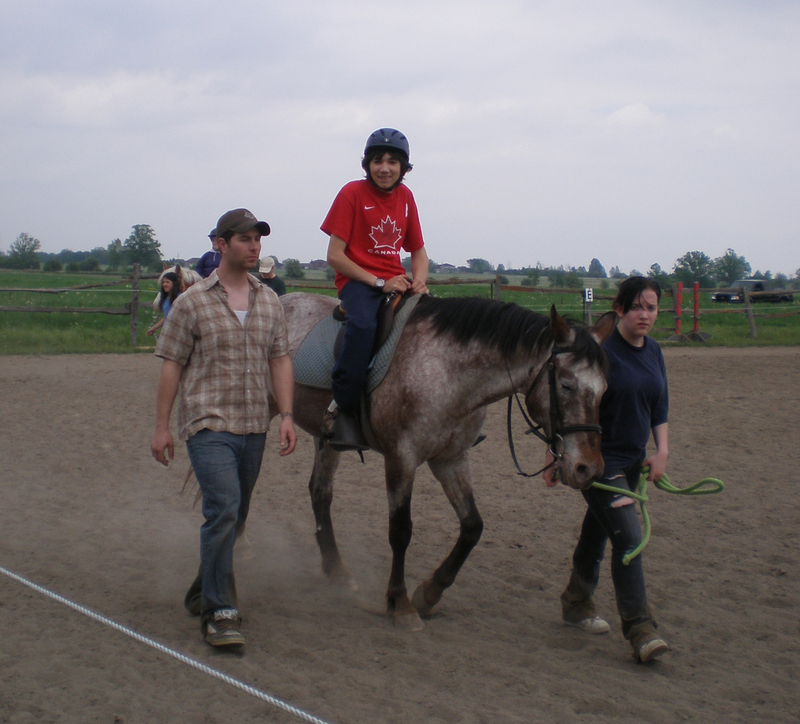 Run by our certified, Therapeutic Riding Instructor, Elaine Brooks, we work with kids and adults with all sorts of special needs. Its success is largely due to the wonderful dedicated volunteers who come every week. We also welcome the sponsorship and support of CES and PACE Credit Union. PACE has sponsored Sampson, the newest Pegasus addition. We needed Sampson for our larger riders and PACE made his purchase possible. PACE also contributes to Samson’s monthly upkeep! Apart from the therapy, the bond that forms between the horse and rider, and the social interaction with the volunteers can bring great benefits to the mind and the spirit. The program runs on Sunday afternoons from 12 to 5. Its’ success is largely due to the wonderful dedicated volunteers who come every week. The Pegasus Program runs seasonally in the fall and spring for 12 weeks each session. And if you are interested in a fantastic volunteer opportunity please let us know – we can help.